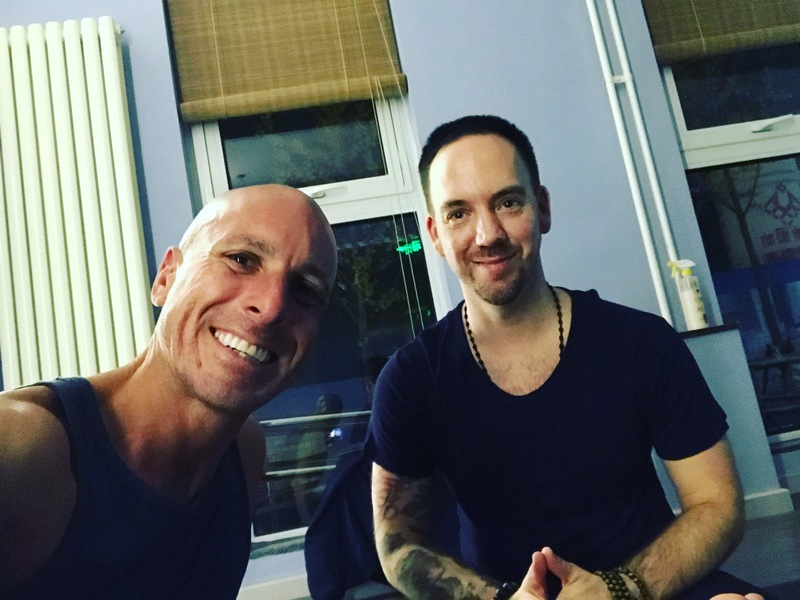 It is by sheer fortune and luck that I had the opportunity to meet Leo Tambourine when I came to Beijing to lead a few workshops at YogaMarga Studio. Leo who has been living in Beijing for just 7 months graciously accepted my encouragement to share his story and offer his tips with all of you. He has been practicing Yoga for over 3 years, and within 6 months realized he wanted to teach. Click here to listen to Leo and I PodCast. Having been exposed to a few incredible teachers who helped him see the light after experiencing a deep darkness when he lost his mother and two weeks later his grandmother, Leo went to the Cayman Islands and found a new way to live. Listen to his story, as well his tips for students and teachers alike in this world of Beer Yoga and commercial Yoga. A hairdresser by trade, Leo now finds balance between making people feel beautiful on the outside and on the inside. Leo's love of the spiritual as well as active, guides his teaching. He finds a good balance between meditation and physical practice, spiritual and practical. Having received his 500hr Yoga Alliance training in Goa India at an Ashtanga-VinYasa school, Leo now practices a style he cultivated called Pheonix Rising Yoga. If you are in Beijing don't miss his classes at YogaMarga and Shanti Yoga.